Liverpool defeated Bolton to end a sequence of three home draws and reclaim top spot in the Premier League. The Reds took the lead through Albert Riera, who volleyed home beyond the near post direct from a corner. Robbie Keane collected a Steven Gerrard pass and finished with his left foot to extend the home team's lead. Keane then slotted home from eight yards to finish a sharp break that involved Xabi Alonso and Yossi Benayoun to take his team back above Chelsea. Bolton had won three of their last four away fixtures but were very much second best against a team who had seen Luiz Felipe Scolari's outfit move above them with victory over West Brom earlier on Boxing Day. However, with manager Rafa Benitez watching from the stands as he recovers from surgery on his kidney stones, Liverpool took the game to a Bolton side that arrived with the aim of stifling their opponents and fully deserved their victory. In the opening minute Bolton had delivered a stark warning that despite playing five across midfield they would look to break forward and support lone striker Johan Elmander when in possession. Kevin Nolan, a lifelong Liverpool supporter, ran on to Matthew Taylor's pass and tried to lift the ball over Pepe Reina towards the unmarked Ricardo Gardner at the far post. But the Bolton skipper did not get enough purchase on the ball and Reina took a comfortable catch. And from that moment Liverpool dominated possession, searching for a way through the congested Bolton defensive structure. Keane and Riera shot wide, while Emiliano Insua volleyed at goal directly from a corner but was thwarted by Jussi Jaaskelainen, who also saved a Dirk Kuyt header. 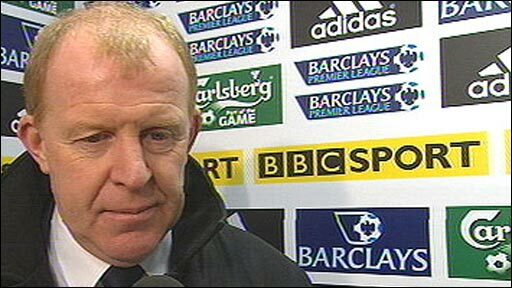 Bolton boss Gary Megson resisted the urge to change his formation after the Reds broke the deadlock through Riera with what looked like a set move. Liverpool continued to press, with Daniel Agger and Jamie Carragher both going close with long-range efforts before the break. Bolton brought on Kevin Davies for Jlloyd Samuel at the start of the second-half but before the away team had the opportunity to impose themselves Keane had extended Liverpool's advantage. Gerrard's superb slide-rule pass was controlled by the Republic of Ireland striker with his first touch and smashed home with his second. Reina started the move that led to Liverpool's third, rolling the ball out to Alonso, who broke through the empty space in midfield. The Spaniard picked out the run of Benayoun, who squared the ball for Keane to slot home his fifth Premier League goal of the season. 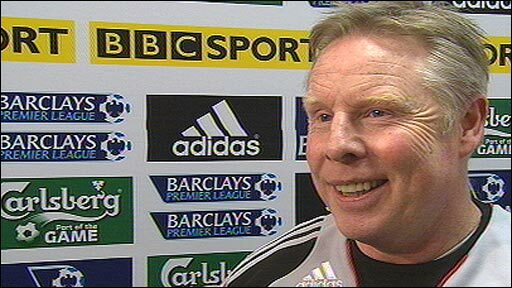 With Bolton forced to show more ambition, Liverpool found more space to exploit and teased and toyed their opponents. In fact, Liverpool were so comfortable that skipper Gerrard was withdrawn after 73 minutes. But Bolton did almost score a consolation when Ebi Smolarek collected a pass from Fabrice Muamba and shot past Reina but inches wide of the Liverpool goal. Bolton keeper Jasskelainen made a great double save from Benayoun and David Ngog with the final action of the match. The final whistle brought blessed relief to central defender Gary Cahill, who had picked up an injury but had to stay on the field as his team had already used all three substitutes. Liverpool: Reina, Carragher, Hyypia, Agger, Insua, Benayoun, Gerrard (Leiva Lucas 73), Alonso, Riera (El Zhar 69), Keane, Kuyt (Ngog 76). Subs Not Used: Cavalieri, Babel, Mascherano, Darby. Goals: Riera 26, Keane 53, 58. Bolton: Jaaskelainen, Steinsson, Cahill, Andrew O'Brien, Samuel (Davies 46), Muamba, Nolan, McCann, Taylor (Riga 66), Gardner, Elmander (Smolarek 66). Subs Not Used: Al Habsi, Shittu, Basham, Obadeyi. BBC Sport Player Rater man of the match: Liverpool's Robbie Keane 8.02 (on 90 minutes).